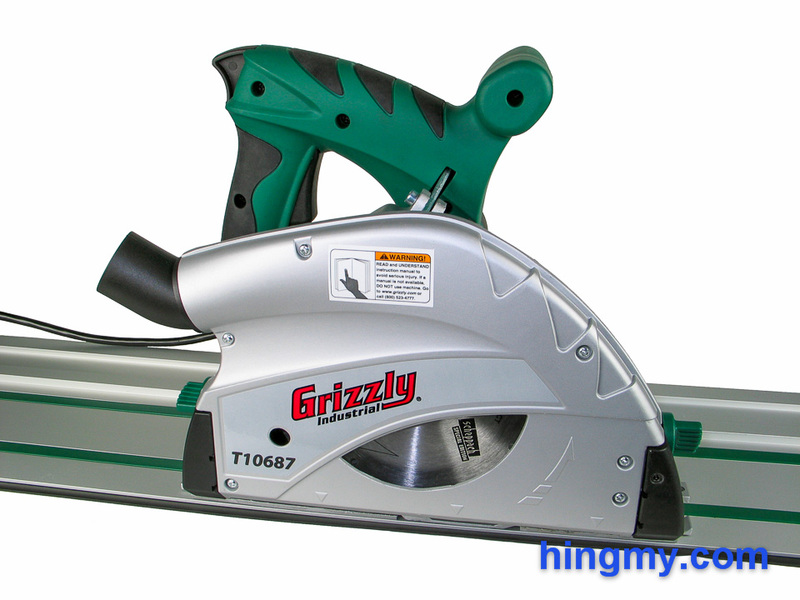 The one tool we were most excited to get intoour shop this spring is the Grizzly T10687. The day it wasannounced was a fine day from track saws. It already is one of themost important tools of 2013. Promise and novelty, however, do notmake for a good tool. It takes good design work and a well managedmanufacturing process to score well in our in-depth review. Let'stake a look, if the T10687 is the track saw we all have beenwaiting for. One of the most laborious tasks for the hobbywoodworker is breaking down sheet goods. 8x4ft sheets are heavy andmost of us do not have the panel saw required to handle themefficiently. Instead we all use a circular saws with astraightedge, or a table saw with an array roller stands to supportthe plywood. Track saws use a track to guide the saw through a cut. These saws produce exceptionally straight and splinter-free cuts. Tracksaws are often used to dimension sheet good that is too large to cut on a tablesaw. Particularly when using smaller tablesaws working with smaller panels increases accuracy. To do the job, the tracksaw's reach must be 4' at minimum for crosscuts, and 8' for rip cuts in standard panels. The track has the secondary benefit of reducing tearout at the top of the sheet. The track creates a downward force as the sheet is being cut. This force keeps the fibers from tearing. The plunge action of the saw can be used to make cutouts. This ability distinguishes the saw from regular circular saws. At the moment there are only a handful of tracksaws available. Each saw is part of a system that includes different sizes of guide rails and accessories. It is far more important that the system as a whole fits your needs than it is for the tracksaw to be slightly better than another. Choose a track saw system that fits your needs for years to come. With very few inexpensive options available it is best to shop for versatility. 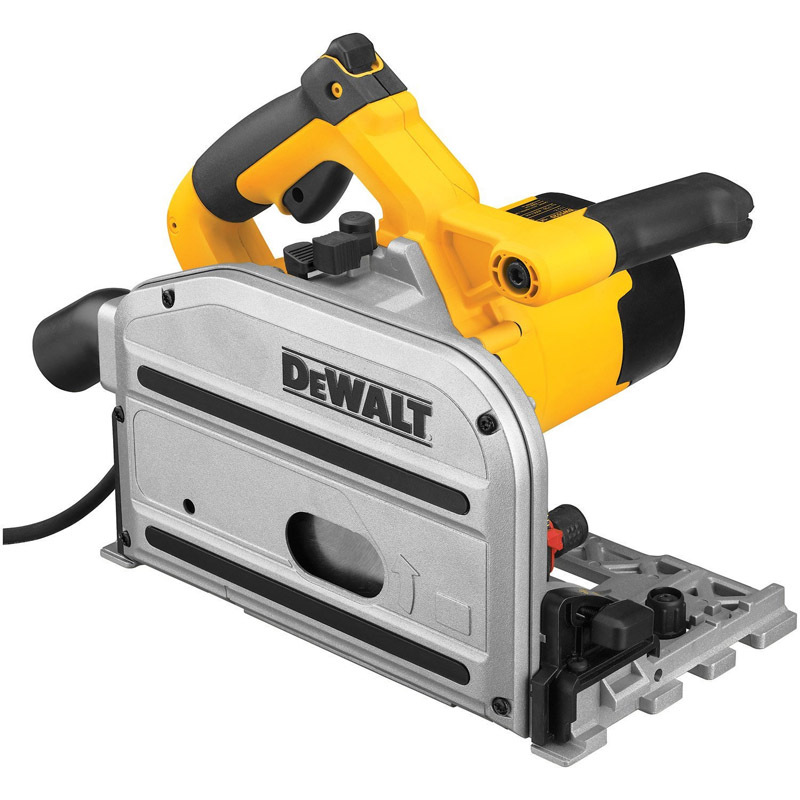 "A great, high-quality track saw. Produces dead on cuts with few, if any tear-out. Dust collection works well. This one is near the top of the stack."